Steve Bell of Storyline Scotland was invited as a keynote speaker to Abant Izzet Baysal University, Bolu, Turkey. 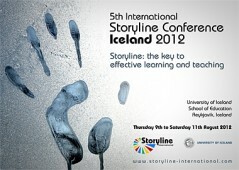 The title of his presentation was using Storyline and Peace Education. He also conducted a workshop for 50 participants on Citizenship.